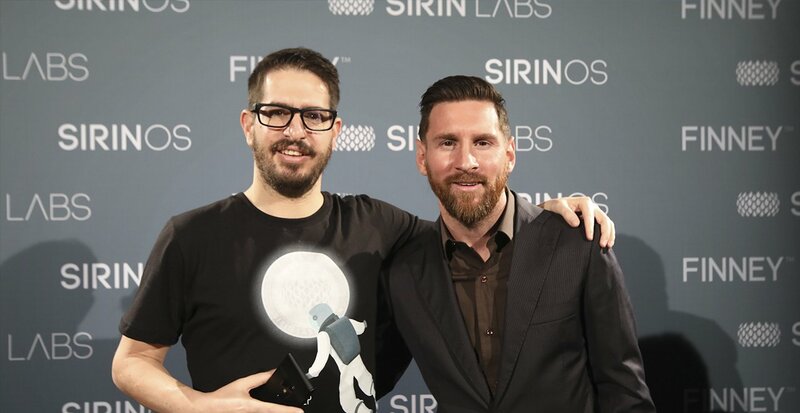 On November 29th, 2018, SIRIN LABS unveiled the FINNEY™ blockchain smartphone to media representatives from around the globe at an incredibly exclusive event in Barcelona, Spain. In attendance were brand ambassadors Leo Messi and Gennady Golovkin, but, surprisingly, they were far from the most exciting attractions from the event. As part of the media launch event, members of the media were invited into a FINNEY™ experience center. Inside there were given a FINNEY with simple instructions on how to use it, and were allowed to test out FINNEY™’s user experience for themselves. Once members of the media had a chance to hold FINNEY™ in their hands and experience for themselves the seamless and simple way the SIRIN OS™ is able to improve the crypto experience, we knew we had truly created something special. The reviews of FINNEY™’s user experience was, without exception, incredibly positive. SIRIN LABS has spent the last year developing an unparalleled crypto user experience through the SIRIN OS™ without ever compromising on the security of the device, and the reactions and responses from the media demonstrates our unquestionable success. A few weeks ago we announced a partnership with Amazon.uk for sales and distribution of FINNEY, where FINNEY would be available through local European Union marketplaces, and would be able to utilize Amazon warehouses as distribution hubs. SIRIN LABS also signed exclusive distribution deals to Ukraine, Egypt, UAE, Saudi Arabia, Bahrain, Oman, and Kuwait, and in addition has been invited to join Amazon Launchpad. This new partnership with Amazon Launchpad is an extension of our existing distribution partnership. Beyond partnering on the sales and distribution of FINNEY throughout the European Union, SIRIN LABS has also been selected and invited to join the incredibly exclusive Amazon Launchpad program. SIRIN LABS Founder and Co-CEO Moshe Hogeg also announced the Learn & Earn center, as part of the SIRIN OS™ dCENTER. Within the Learn & Earn center, users will be rewarded in real cryptocurrency for learning about new, exciting, and upcoming crypto projects. As he described it, when we watch TV we’re forced to watch advertisements, but commercial dollars goes to the broadcasters, not to the viewers. With FINNEY, and within the scope of crypto, we have an opportunity to flip this paradigm, cut out the middleman, and enable these organizations to be able to provide their rewards directly to users who choose to learn within the world of crypto. When FINNEY is released to customers later this month, users will be rewarded with up-to $300 of redeemable cryptocurrency simply for learning about new projects through the Learn & Earn Center. The media launch event was our first opportunity to get real, honest, and genuine reactions to what we’ve created with FINNEY. The responses we received from the media, from both reporters within the crypto scene as well as those outside reinforced our feeling that we’ve created something really special. FINNEY is a revolutionary device that is positioned to completely upend the crypto world, and truly bridge the gap between the blockchain economy and the mass market. The future is here, and the future is bright.